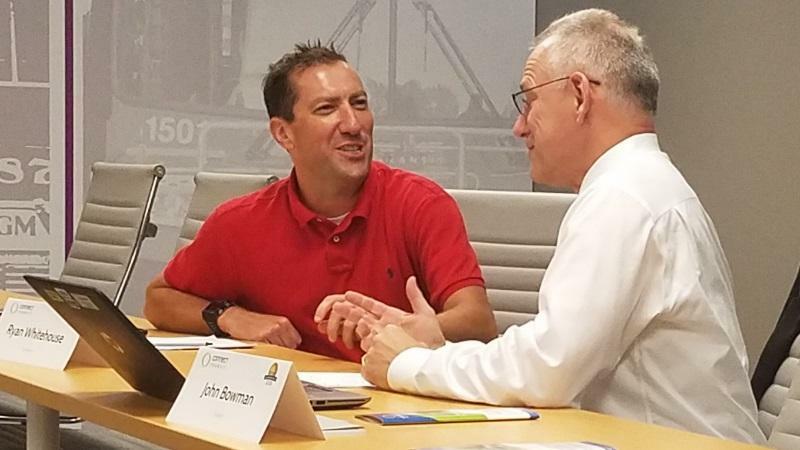 Trustee Ryan Whitehouse (left) talks with Trustee John Bowman (right) prior to a Connect Transit Board of Trustees meeting. 30-day passes are staying in place with a $3 increase for fixed route riders and a $14 increase for Connect Mobility riders. Trustee John Bowman , who voted against the fee changes, said the board needed more time to consider the plan. "The issue we had was, we're changing some structural components to the fare system, and maybe had not as much time as we might have wished to examine that and understand the full implications of it," he said. 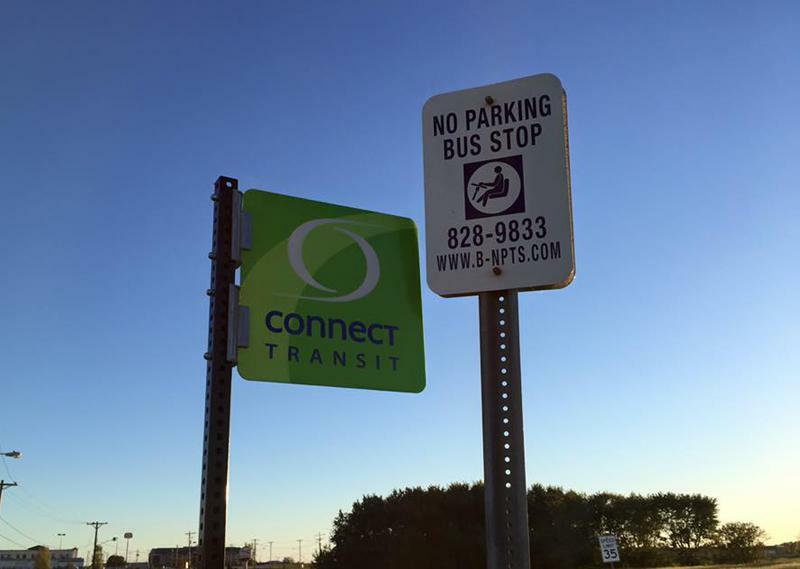 The fee restructure will go into effect at the same time as new routes, schedules and an app. General Manager Andrew Johnson said the combination of changes will usher in a new era of public transportation to Bloomington-Normal. "We're really changing the game for everyone," he said "Seven days a week, increased frequency, many new enhancements and amenities for our customers and for everyone in the community." Fixed route fares for one way riders, people with disabilities and senior citizens will remain the same. The board may choose to re-examine the fees and route fares during budget sessions next year.